Another Coachella season is among us as you can tell with social media feeds filling up with images from the annual music and arts festival. In the search of the best men’s fashion and festival costumes for AskMen, I came across a ton of moments that makes me wish I didn’t just have to live vicariously through Instagram. Above is a taste of what I came across on Insta, with the full set on AskMen here. 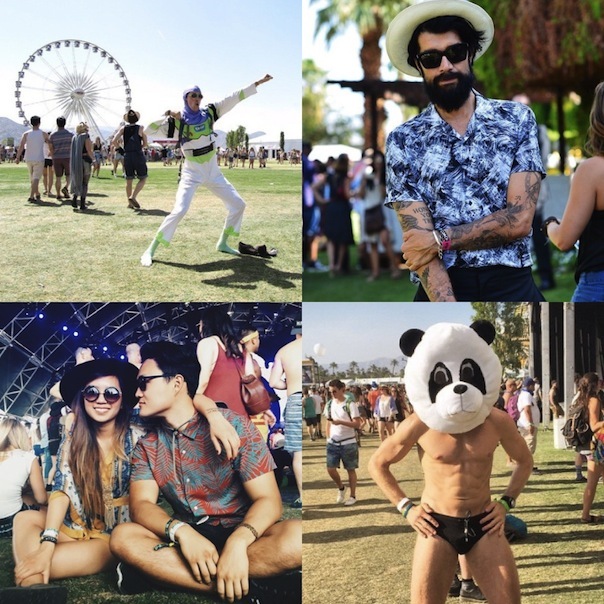 Clockwise above, photos via Instagram users @nytimesfashion, @ghettohouseradio, @haannerz and @coachella. Posted on April 12, 2015, in Fashion and tagged AskMen, Coachella, Coachella 2015, Fashion, Instagram, Social Media, Street Style. Bookmark the permalink. Leave a comment.